Seymour Hersh's report on the killing of Osama bin Laden and the US' aborted 2013 bombings of Syria have provoked a fierce media campaign against the journalist, making the US press look like "accomplices instead of news reporters," Shamus Cooke noted. Pulitzer Prize winning Seymour Hersh has come under heavy criticism from American mass media after he exposed US government lies about the Osama bin Laden killing, underscored US writer and trade unionist Shamus Cooke. "Hersh's recent report on the killing of Osama Bin Laden and his prior investigation of Obama's aborted 2013 bombing of Syria have attracted a synchronized media smear campaign. But Hersh's attackers are a clumsy bunch. The hysterics and uniformity of the attack says less about the victim than it does the perpetrators, who share a self interest in shredding Hersh's stellar reputation," the writer stressed. By publishing his last two investigations Hersh has killed two birds with one stone: he exposed both major lies of the White House and at the same time the complete failure of the US media. The writer elaborated that Hersh's previous report unveiled a conspiracy between the Turkish government and the extremist group al-Nusra Front aimed at ousting the Syrian president. Seymour Hersh also exposed that simultaneously, the Obama administration was cooperating with Ankara pursuing the same very goal. "This "conspiracy" is now openly acknowledged, as Turkey and Saudi Arabia are publicly coordinating with the al Nusra Front and its sister extremist group, Ahrar al-Sham, under the umbrella group "Conquest Army," Shamus Cooke highlighted. For a protracted period US media remained silent about Hersh's exposure of Washington's role in the Syrian turmoil. Now they have launched a coordinated attack against the investigative journalist in response to his revelations about "Obama's lie-ridden narrative" of Osama bin Laden's death. Seymour Hersh was blasted for using a few anonymous sources, namely a retired US intelligence official and former director of Pakistani intelligence Asad Durrani. However, that means that Seymour Hersh used more sources than US corporate media journalists who typically rely on a single source: the Obama administration, the writer remarked. "Very often this single source is anonymous, referred to as a "senior government official." Facts aren't checked and tough questions are never asked. What Obama says becomes "fact," and if someone like Hersh challenges the narrative the media skewers the challenger," Shamus Cooke underscored. While attacking the investigative journalists no one asks why Obama lied about the killing of Osama bin Laden. 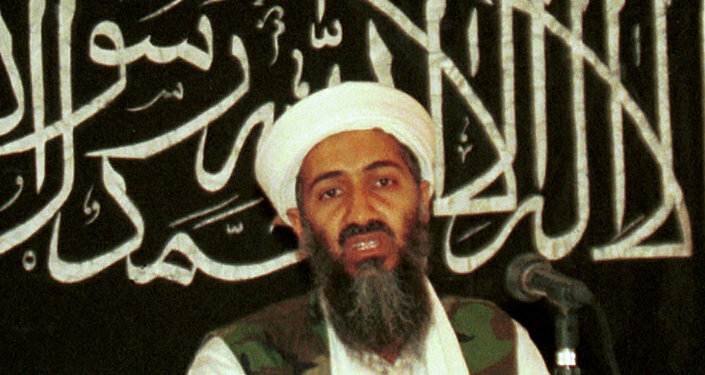 But his motive was obvious, the writer noted: the official version of bin Laden's assassination whitewashes torture practices adopted under George W. Bush as well as his infamous war on terror. For instance, state-sponsored propaganda film "Zero Dark Thirty" is convincing viewers that the CIA shameful torture practices were completely justified. "Hersh's article exploded this lie, humiliating everyone who took part in it," the writer noted. The White House's narrative of the bin Laden hunt has also boosted spending on "the war on terror": billions of taxpayer dollars have been thrown into bombs, warplanes, drones, mass surveillance. Alas, the war on terror succeeded only in destabilizing the Middle East that resulted in the emergence of the notorious Islamic State. The bipartisan attack on Seymour Hersh demonstrates "the complete media conformity on US foreign policy of never-ending war and mass surveillance," the writer pointed out. Thus far, turning a deaf ear to Obama's lies, the US media "look like accomplices instead of news reporters," he concluded.